If you have zero baking skills but still want to make something sugary and sweet for your sweetheart this Valentine's Day, invest in a heart-shaped metal cookie cutter. 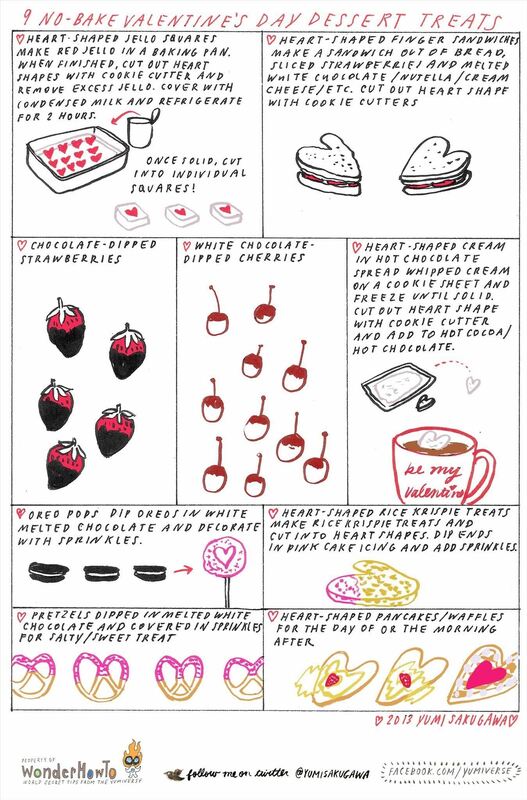 From there, you can easily whip up heart-shaped finger sandwiches made out of sliced strawberries and melted chocolate, heart-shaped jello squares, and heart-shaped whipped cream that can literally melt in a mug of hot chocolate (make it from scratch while you're at it) while figuratively melting your sweetheart's heart. If heart shapes aren't your thing, you can't go wrong with strawberries dipped in chocolate, cherries dipped in white chocolate, or for a more salty-sweet flavor combo, pretzels dipped in white chocolate and pink sprinkles.